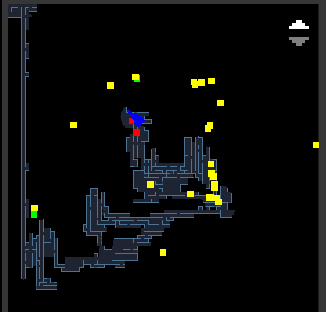 The Maze is a Custom Dungeon that drops from Pac Man. As one would expect, this map is like a maze. Throughout the maze are many different mobs to impede your way to the highly desired Pandora Island. 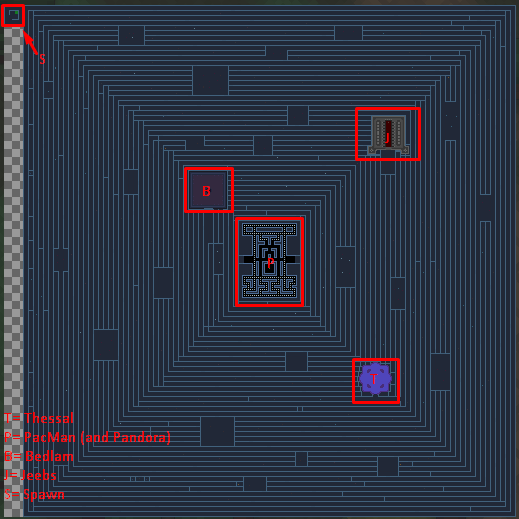 As of the July 30th, 2016 update, a new maze map has been added, which was made by Dakoolade. There are mobs from the Mountains, Mad Lab, Wine Cellar, and the Asylum of Chaos. Throughout the map there are Belladonna Chests and Coral Gifts. At the top right of the new map, you will be able to find the Jeebs Arena. Near the middle of the new map you will be able to find Bedlam, God of Chaos. In the bottom right of the new map you will be able to find Thessal the Mermaid Goddess. This is best if done in a group, as to help cover more ground faster. A rogue or Lost Light Prism trickster is best to go in the group, as they can lure the old Pac Man away from the whole group as they get to the Pandora portal. After the whole group goes in, the rogue/trickster can tp to the portal. Just about anything that the mobs mentioned normally drop.